Recently widowed Ramatoulaye, writes letters to her childhood friend Aissatou chronicling her life and her struggle for survival after her husband Modou decided to take a second, much younger wife. So Long a Letter is a very short book. At 95 pages it’s a reasonably quick read, once you’ve learnt who’s who in Ramatoulaye’s life. She has a dozen children, and then there’s the friends and family of her husband’s second wife as well, there’s a lot of characters for such a short book. So Long a Letter is all about women, their relationships and their struggles with living in a social environment where the attitudes and values that dominate, deny them little independence. What I thought was clever was that it would’ve been very easy for Ramatoulaye to hate her husband’s second wife, but instead she almost pities her and leaves the hatred and bittiness towards her husband. That’s not saying Ramatoulaye is best friends with the woman, she doesn’t like her but she can see that she’s just as much a victim of circumstance as Ramatoulaye is herself. Ramatoulaye’s relationships with her daughters is lovely. She makes mistakes as a mother but she doesn’t try and shield them from the world and there’s some great moments between her and her daughter Daba. Daba is forceful and forward-thinking, and it was interesting to see her grow and get in a relationship of her own. So Long a Letter was a bit weird to start with as while Ramatoulaye was chronicling her own life story in these letters, it involved “telling” Aissatou so of the events that happened in her own life. Obviously, it was so us as readers could get a better understanding of these two women and their history, but it felt weird that someone was recounting someone else’s major life events back to them. 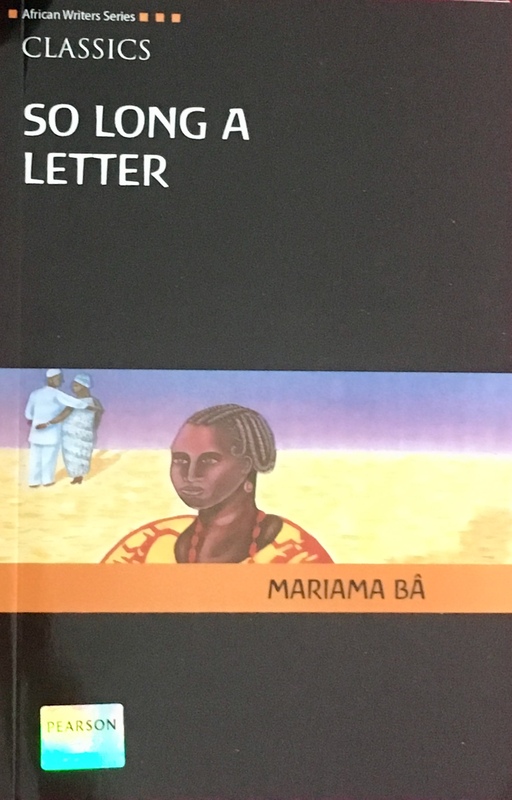 So Long a Letter was like a quick snapshot into the lives of women in Western African society in the late 1970’s. It was nice being a part of Ramatoulaye’s life for a while, see both her struggles and her strength, but it wasn’t really an engaging or memorable book. Oscar “Chino” Uribe is a young Peruvian journalist and after the death of his philandering father, he must confront the idea of his father’s other family. While deals with his grief Chico’s latest assignment is to chronicle the life of the street clowns who populate the vibrant and violent city streets of Lima and while doing so he becomes drawn into their haunting yet fantastical world. 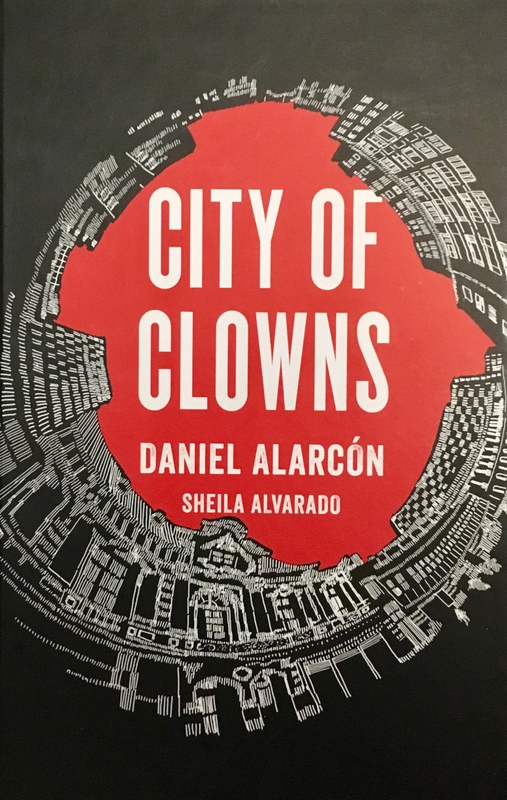 City of Clowns was originally a short story by Alarcón and the he and Alvarado collaborated to turn it into a short graphic novel with striking black and white illustrations. How the illustrations and the text is set out on the pages, with it not being afraid to leave a lot of negative space, really puts across how Chico is feeling. There’s black pages and isolated figures when it comes to Chico, but with the clowns it’s often a mixture of lively figures with melancholy faces. After his father dies he and his mother are suddenly introduced to his father’s mistress Carmela and their sons, Chico’s half-brothers. His mother takes everything in her stride and the relationship she appears to form with Carmela is incomprehensible to Chico, further isolating him as he refuses to acknowledge his emotions. City of Clowns is a interesting look at grief, emotions and identity. As Chico learns more about the clowns, he admires the way they are hiding behind a mask, that people pay them little attention and they can be whoever they want to be when they perform. City of Clowns is a quick read but a memorable one. The writing is simple yet eloquent while the illustrations convey so much emotion. 4/5. The Blue Fox follows two storylines; one follows a hunter, Reverend Baldur Skuggason, who’s tracking a rare blue fox, and the other follows Fridrik, a man who cares for Abba, a young woman with Down syndrome who he rescued from a shipwreck. It’s not obvious to begin with how they are all connected but as the story progresses, everything becomes clearer in this snowy landscape. The Blue Fox is set in 1983 in Iceland and the writing is quite beautiful, though sometimes it’s just as harsh as the Icelandic winter the story takes place in. One such harsh moment is how it talks about people with Downs syndrome. Yes, it may be period-typical but it was still a shock, especially when there was writings from a medical journal, theorising how and why someone is born with Down syndrome. The snowy mountains of Iceland where Skuggason hunts the fox are just as much a character as any of the humans. The atmosphere is chilling, and the writing puts you right there next to the hunter in the snow. The fox is a character as well, as there are some pages devoted to its point of view, making it not just this prize to be won, but a creature that you manage to care about in a few short pages. The Blue Fox is a short book at just over 100 pages long. 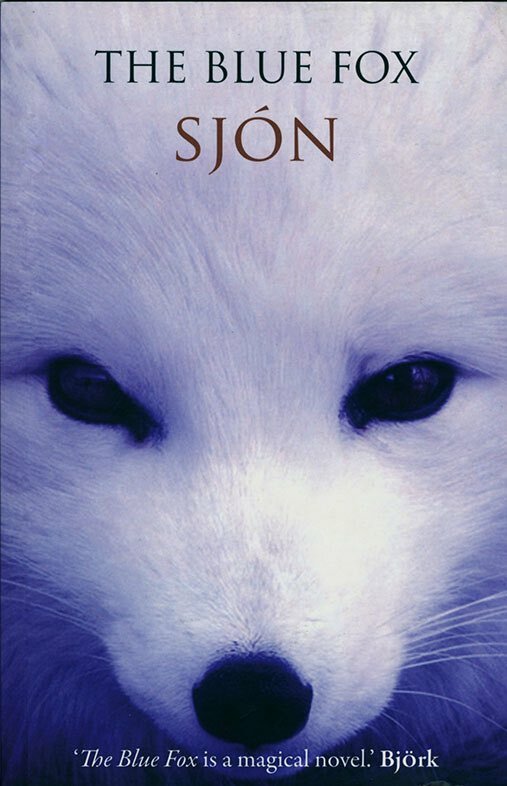 I enjoyed the portion about the hunter and the fox more, especially when things go a bit weird and you’re not sure what’s real and what’s not, but when you finally see what the connection is between Fridrik, Abba and Skuggason it makes Fridrik and Abba’s story more interesting. 3/5. The Open Door, and the Portrait: Stories of the Seen and the Unseen are two short spooky stories. The Open Door is from the perspective of Mortimer a father who’s brought his family to live in an old Scottish manor but when his son is taken ill, having apparently heard a lost spirit, Mortimer promises to solve the mystery and help the lost soul. The Portrait is about Philip, a man who returns home to his elderly father and becomes enchanted by the portrait of his dead mother who he never knew. Both stories are eerie and are set in old, manor houses that hide their secrets and have male leads that like to believe they are sound of mind but maybe that’s not the case. Out of the two stories I preferred The Open Door. It was a creepy ghost story that made full use of its setting in the wilds of Scotland, owls hooting, characters not wanting to believe the stories and a child that has seen things that can’t be explained. I also liked that when Mortimer was investigating his sons claims and talked to people who worked for the house, the way it was written you could clearly see the thick Scottish accent. It was another thing that helped pull me into the story. The Portrait was more of a mystery than a horror story. There were hints at supernatural goings on but it was Phillip and his relationship with his father that was the main focus of the story. Also, while obviously a lot happens in a short space of time in a short story, I found the ending of The Portrait felt quite rushed and not that satisfying. Still, I did enjoy reading The Open Door, and the Portrait: Stories of the Seen and the Unseen. I haven’t read any Victorian fiction out of choice before (definitely read some during my school life) and these short stories were a nice way to dip my toes in as it were. 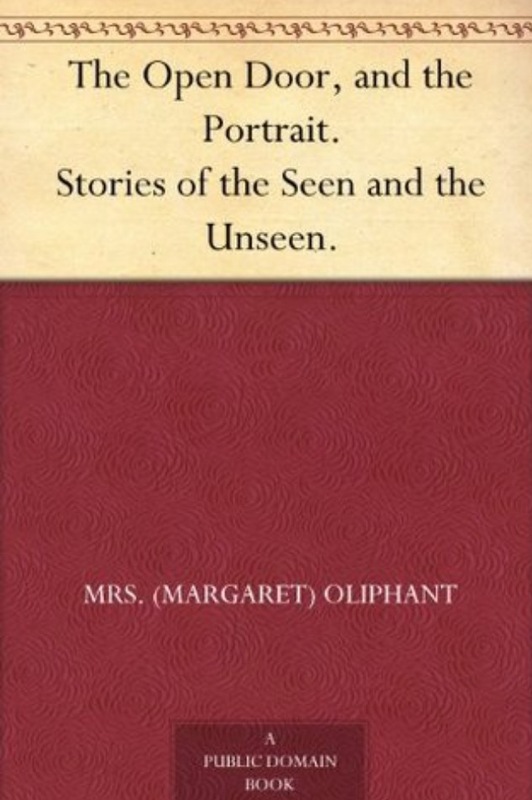 I want to say thank you to Bex over at NinjaBookBox as it was this post that made me aware of Margaret Oliphant. I will be checking out the other books and authors mentioned in the post. 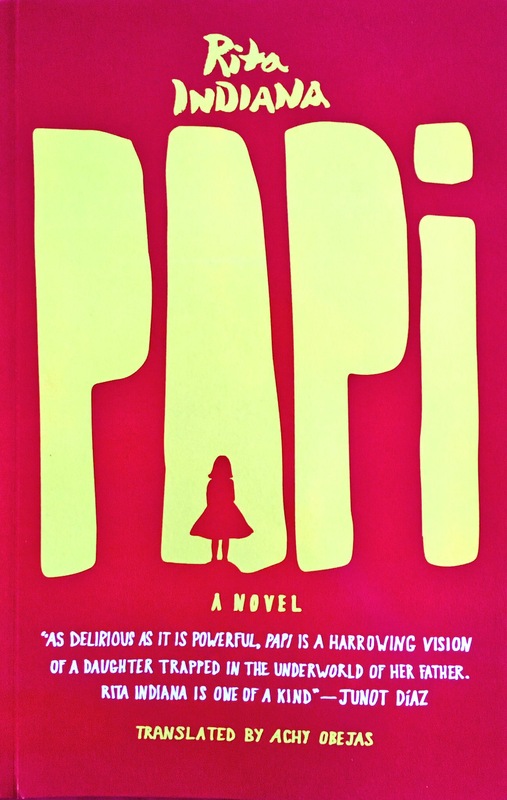 Drawing on her own memories of a childhood split between Santo Domingo and visits with her father amid the luxuries of the United States, Papi is the story of an eight-year-old girl and the relationship with her father. Papi is a short yet fast-paced read. The way it’s written, with many long, run-on sentences, followed by lots of short sentences with repetition makes you read it faster and faster. It’s interesting that this manic style of story-telling is mostly present when the girls father is around, or she is anticipating his arrival. It makes her father feel like a whirlwind, a force to be reckoned with that picks her up and takes her along for the ride. Papi is from a child’s perspective so there’s lots of fantastical imagery used where a child might fill in the gaps of what she actually knows. Her father is rich and popular with many business associates, while reading this you presume that means he’s a drug dealer but you never really get that idea from the narrator. She see’s her father as the best thing ever and the way events or people are described do feel like you’re in the imagination of a child. That being said, some of the words used feel far older than what an eight-year-old girl would be using. This adds another level of weirdness to the narrative as you’re never really sure as to what’s real and what’s not. There’s not really much plot to Papi, or if there is, I often lost it. it’s scattered and hard to follow but there’s something about it that’s captivating. It’s more about the evocative imagery it presents about a girl’s relationship with her father than a story with a true beginning, middle and end. 4/5. 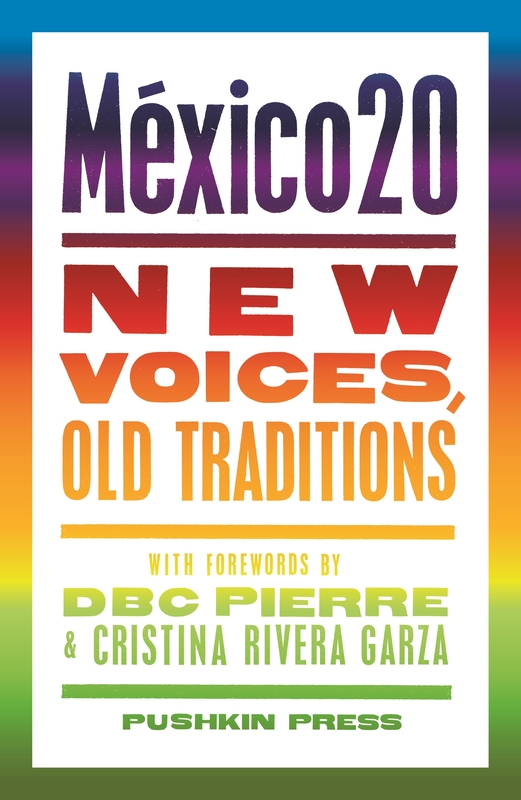 An anthology from twenty Mexican writers under forty, paired with twenty British translators. México 20 is an eclectic mix of writing, where some pieces are less than ten pages long while others are closer to thirty, and some were written in really interesting ways. They are mostly short stories, sometimes they are extracts from a larger piece of the authors work, but there’s some non-fiction too, in fact the first piece is an essay about what the film Blade Runner means to the author, Juan Pablo Anaya. Some of my favourite stories or pieces of writing are History by Antonio Ortuño, Empty Set by Verónica Gerber Bicecci and Lights in the Sky by Fernanda Melchor. I liked how History was written as it was like small snapshots into the main characters thoughts as well as a small insight into the history of Mexico. Empty Set features sketches that help show how the main character sees the world while Lights in the Sky is about someone who really believed in aliens for a short while. What I liked about this collection was how varied the subject matter. Some felt like the authors memoirs, while others are vivid and shocking. Meth Z by Gerardo Arana was the weirdest one – the main character is high on drugs and the way he see’s the world is seriously bizarre and then the story almost became a story, inside a story and it was a little hard to follow. Some stories are rather explicit with The Whole Big Truth by Eduardo Montagner and The Liturgy of the Body by Eduardo Rabasa both featuring scenes of a sexual nature. Some stories I found more accessible and quicker to read than others. This could be down to the stories themselves and what their subject was or it might be because I liked the way different translators translated the works, I’m not sure. I generally enjoyed the stories that were more grounded and that had a family-element, I think that’s because dysfunctional families are something we can all relate to. México 20 is an interesting collection of works and a nice taster of twenty different writers. 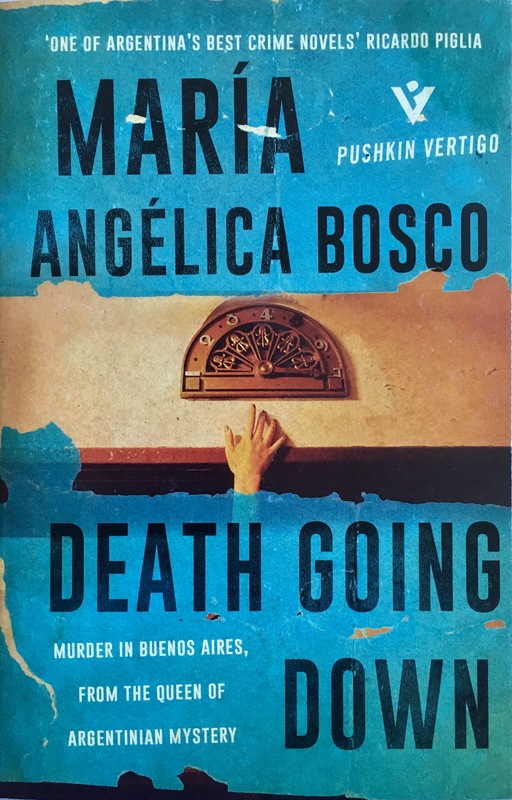 When young, beautiful Frida Eidinger is found dead in the lift of a luxury Buenos Aires apartment block, it looks like suicide but none of the building’s residents can be trusted. When Inspector Ericourt and his assistant Blasi take the case, they uncover a disturbing tale of survival, extortion and obsession and slowly the lies begin to unravel. At 150 pages, this is a crime novel that speeds along. It’s set during the 1950’s so there’s some mention of World War Two and some of the characters are Europeans who have emigrated to Argentina. This offers some interesting historical and social background on these characters. The people who live in the building where Frida Eidnger was found are all suspicious. There’s the womanizer, the controlling husband, the secretive siblings, and the deceased’s husband is also behaving strangely. As the death is investigated you learn more about the potential suspects, their motives and their lives. However, some characters end up being more fleshed-out than others. You never really got to know the detective team on the case, and become attached to them in any way. They often seemed like the eyes for the reader and had little personality. Ericourt, Blasi and Lahore are all detectives but I was never really sure who was in charge, especially as they each do their own investigations and drop in and out of the story. I can’t really say I liked this book, but there was something about it that kept me reading – maybe it was because it was so short. I personally didn’t figure out who had done it until everything was revealed, especially as more and more people kept seeming to incriminate themselves. Death Going Down is quick, intriguing crime story that will keep you guessing.